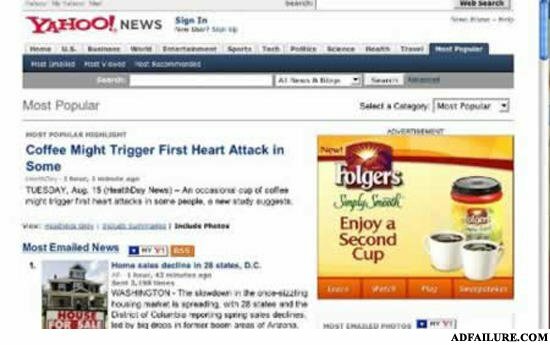 Folgers: it's worth the risk. Folgers, the coffee you drink once in heaven. the best part of waking up is clogged arteries in your cup.